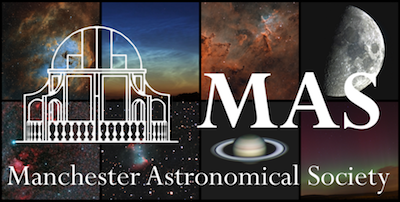 Join members of the Manchester Astronomical Society for their weekly Thursday night observing session at the Godlee Observatory. Members of the public are welcome to attend a few sessions for free before deciding if they would like to join the society. This is an awesome opportunity to observe through the dual mounted telescopes which despite the light pollution from Manchester city centre give excellent views of the moon and planets. Above photo by Manchester Astronomical Society. This event is being organised by Manchester Astronomical Society who should be contacted if you have any queries. We highly recommend you confirm this event is indeed going ahead before travelling. If you do attend it would be fantastic if you could let the organiser know you found them via Go Stargazing! Please contact Manchester Astronomical Society directly for more details regarding this event or, if appropriate, contact the event venue.